1. Storage bin: it can store sand, stone, cement, water and other materials and supply material for feeding system. 2. Bathing machine: it can measure sand, stone and other materials according to a certain proportion. It is mainly composed of various scales, and flow metering device which using measurement by volume. 3. Elevator: it is mainly used to lift aggregate materials of sand and stone. 4. 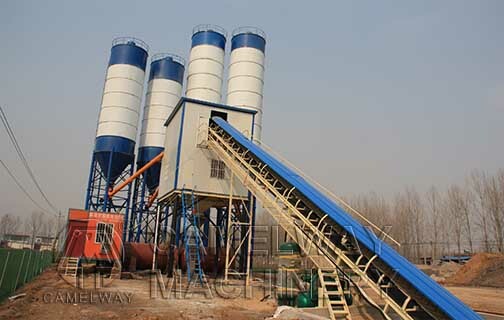 Concrete mixing machine: it mixes each original material and then forms concrete. 5. Control system: it can control the work of each part and complete the production.